Lenovo Lemon 3, the dream gadget for budget phone lovers finally launched in China at RMB 699(Approx. 7,000 in India) in Gold and Silver colour option. 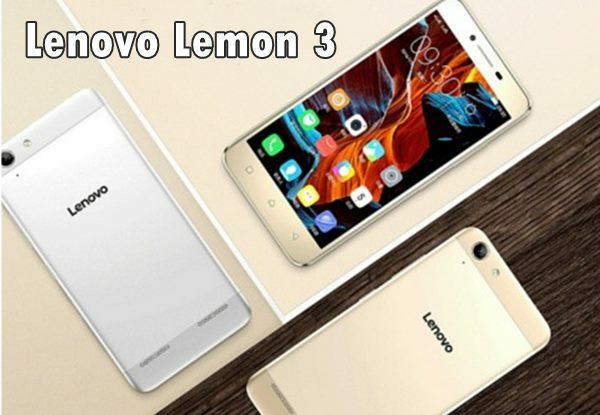 Lenovo Lemon 3 expected to launch in Indian market in Q2 expected price approx. Rs 7.000. It’s specially designed to counter Xiaomi Redmi 3 which launched in China At CNY 699. Lenovo Lemon 3 also offers you dual-powerful camera which includes a 13-MP auto Focus Rear camera with LED flash for shooting promising superior photography in low light and 5-MP front camera best for video calling and selfies packed with a 2750mAh battery with Quick Charge offers you Standby Time up to 360 hours (3G) and Talk time up to 32 hours (3G) measures 152.6×76.2×7.99mm and weight 142gm while new Dolby Atmos audio technology is perfect for listening music. At last few honest word, Lenovo Lemon 3 is coming to win the hearts of budget phone lovers. what you think? Please be open to give your view. when will this phone release in india? Looks like Lenovo is concentrating more on sub 10000 rupees category.But Cool pad note 3 lite also a better option as it looks good for 6999 rupees…! this phone is very good nd im intrested to buy this phone so please launch rapidly in india……. lenevo lemon 3 is very good fetchure. When is lunch. Please inforem me this mobile lunch date. Thankyou. please inform me sir lonch date lenovo lemon 3 in india. I am intersted to buy this phone. Thankyou sir. Please tell me when this product will release? I am interested to buy this phone. Sir please inform me its launching date in India. Lenovo lemon 3 mobile is a very good fetures.It’s na nice fone.So, it is release rate 10-13 feb,2016.Actually,9 days to go..Thanku..
Lenovo lemon 3 mobile is a very good fetures.It’s a nice fone.So, it is release rate 10-13 feb,2016.Actually,9 days to go..Thanku..
Is this mobile is perfect ot me or not ………..
i am also intersted to buy this cool prize phone and lovely feature….please inform me to when will be came on market or online…i am waitinnnnnng………. hi… i am intersted in this phone release fast in this phone india………. lenovo lemon 3 online/ market me kab tak ayega ,i am waiting ……. ? Lenovo lemon 3 indian market me kab relish karto ho date to batao. it has already won my heart…! but when its releasing? Notify me when its out on market. Please inform lenovo lemon 3 flipkart launch date. Kab launch hoga India mei?? Good specs….price is also reasonable….when is the launch date in India? Please rilis lemon 3 mo. When it will come? Please inform me.